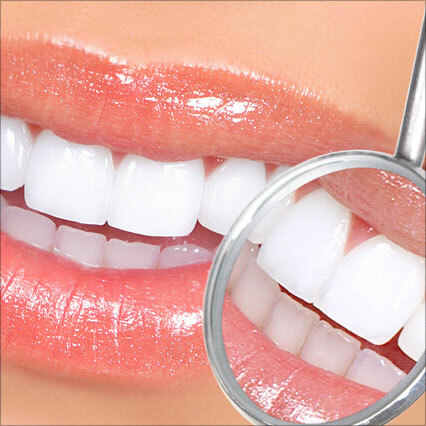 Dental bleaching can be used to correct tooth discoloration caused by staining, aging, or chemical damage to teeth. Using the latest in bleaching technology, we can offer a safe method for creating a beautiful “brilliant” smile. It’s safe, quick, and inexpensive. Just let us know at any appointment if you would like to whiten your teeth. You can lighten only your upper teeth or both the upper and lower, depending on how much you show when you talk and smile. In only a day or two custom bleach splints will be ready for you to pick up. We provide you with a special bleaching agent that you put into the clear splints. With only a few hours of wear per day, our special bleaching agent bubbles stains right out of your enamel in a very short time without altering tooth structure or existing dental work in any way. We’ll want to take “after” photos at your next appointment. In a hurry? River Towne Dental also offers “in chair bleaching”. This unique system allows us to professional whiten your smile in as little as an hour. This is a great way to create a new smile for upcoming weddings, vacations or job interviews!